On November 3, 2018, dad took his last breath, finally putting an end to all his wildly inappropriate, unfiltered comments. At the age of 92, he passed away from an old, worn-out, but much used heart. Dad was a member of the “greatest generation” and will be dearly missed by his wife, Carma. They were together for a long, damn time — 71 years! Gail was born October 16, 1926 in Hyrum, Utah to Essie Morris and Mattie Lavina Andersen Gibbs. He was the fifth of 12 children. Life was tough in those early years, and his four older brothers made sure it was tough for Gail. He learned from an early age how to work hard, have a sense of humor, and stand up for himself. In 1944, dad graduated from South Cache High School, where he met the love of his life, Carma M. Murray. They married February 24, 1947 in the Logan Latter Day Saint Temple. They have remained devoted to each other for more years than many people live! A true love story. Dad attended Utah State Agricultural College for two years. He worked construction, then owned and operated “Gibbs Flying A Service” in Logan. He made a living selling life insurance, and in his so called “retirement” years, dad was a property manager/owner of numerous rentals. He was a handyman and could fix anything, save everything and waste nothing. He was a man that never sat still. Whether it was irrigating fields, taking care of his horses or busy with church work, dad was always working. He was a spiritual giant who loved God. Dad had a powerful, unwavering testimony of the Gospel of Jesus Christ, which he freely shared with everyone, often with strong emotion. Gail was a man of robust opinions, a trait that has been passed down to all six of his daughters. He was not afraid to speak up and speak his mind. Dad was also a very caring, concerned person. He had many friends throughout his long life. Dad had a love of learning and thoroughly enjoyed reading. In his younger years he loved to hunt, fish, and ride horses. Dad loved music, especially when his children or grandchildren performed. As of late, he probably has every cowboy show memorized. Gail and Carma raised six beautiful daughters in the Ogden area. He was always very active in The Church of Jesus Christ of Latter-day Saints. 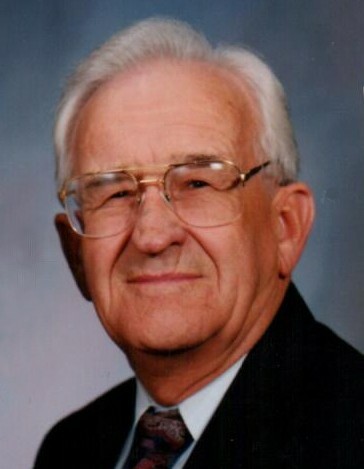 Dad served in many ward and stake positions including that of Bishop for many years. He and Carma have resided in the Morgan area for the past 20 years. Gail is survived by his wife Carma and their six beautiful daughters, Peggy Reeder, Susan (David) Zundel, Marilee (Lex) Olsen, Miriam (Craig) Storey, Ruth Ann (Niel) Stagg, Rebecca (Rich) Wood; also by a brother, Ross Gibbs; a sister, LaRue Hathhorn; and sisters-in-law, Loi Gibbs and Wanda Gibbs. He leaves a legacy of goodness to 24 grandchildren, 53 great-grandchildren, and 2 great-great-grandchildren. He was preceded in death by his son, Ryan; a grandson, Curtis; his parents, and 9 brothers and sisters. Gail’s life will be honored with a Funeral service on Friday, November 9, 2018 at 11 a.m. at Lindquist’s Ogden Mortuary, 3408 Washington Blvd. Friends may visit with family on Thursday from 6 to 8 p.m. and Friday from 9:30 to 10:30 a.m. at the mortuary. Interment, Ogden City Cemetery. The family would like to give special thanks to Gail’s live in caregiver Gladis. This Angel took amazing care of a worn-out body whose sparkling eyes would shine through now and again. Also, Ammon and Moana are so appreciated for their loving care. A special thanks to Encompass Homecare and Hospice for helping the family through these last years. The compassionate and kind care of Dr. Lewis has been so appreciated. Everyone who had the opportunity to care for dad immediately loved him. Even with his gruff voice and sharp wit, his little scares and growls; he made friends to the very end. A true giant of a man.